Italian Alligator embossed calfskin lined with Genuine Leather. 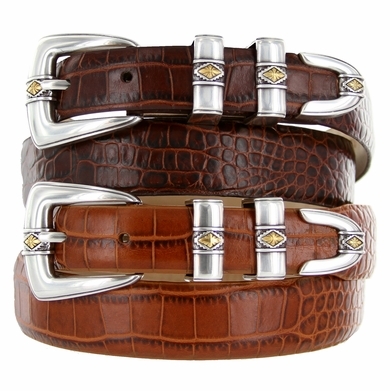 A jewelry inspired gold diamond shaped design on this buckle set accents these special belts. 1 1/8" wide tapering down to 1" at the buckle and tip ends.